Target Liberty: "Kushner Shared the Names of Saudi Royals that were Disloyal [to the Crown Prince]"
"Kushner Shared the Names of Saudi Royals that were Disloyal [to the Crown Prince]"
What the hell kind of clown is this son-in-law of Donald Trump? In June, Saudi prince Mohammed bin Salman ousted his cousin, then-Crown Prince Mohammed bin Nayef, and took his place as next in line to the throne, upending the established line of succession. 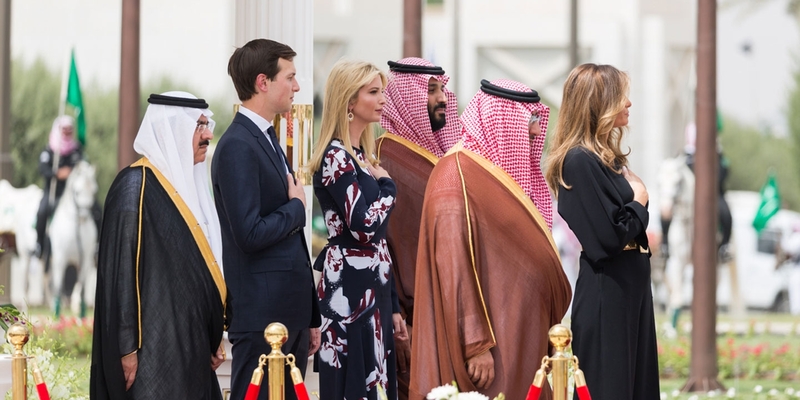 In the months that followed, the President’s Daily Brief contained information on Saudi Arabia’s evolving political situation, including a handful of names of royal family members opposed to the crown prince’s power grab, according to the former White House official and two U.S. government officials with knowledge of the report. Like many others interviewed for this story, they declined to be identified because they were not authorized to speak about sensitive matters to the press. What exactly Kushner and the Saudi royal talked about in Riyadh may be known only to them, but after the meeting, Crown Prince Mohammed told confidants that Kushner had discussed the names of Saudis disloyal to the crown prince, according to three sources who have been in contact with members of the Saudi and Emirati royal families since the crackdown. Kushner, through his attorney’s spokesperson, denies having done so. If special counsel Robert Mueller were serious instead of playing politics, he would be investigating the Trump-Saudi connection not the bogus Russian collusion charge. There is definitely shady stuff going down here and it could lead to war with the Saudi mortal enemy Iran. If MbS is ever overthrown, will the new Saudi power players, who were turned in by Kushner, going to trust the US? This is taking President George Washington's warning about foreign meddling and turning it on its head and proactively coming up with methods of meddling in affairs that are not the business of the U.S.
maybe this clown is an Israeli agent? I think MBS's overthrow is inevitable, just a matter of time.